April 24: 5 POWER Lessons From 5 Leaders Who Made History On This DAY! Every individual on this earth invokes a true desire to imprint his/her name in the heart of the society. Among such dreamers, few improve their lives by using the magic of self-motivation, self-empowering techniques and giving importance to the concept of mind-power. Here are some of the personalities who already proved the same. Along with reading them, focus on how you can use them as a medium to catalyze your growth. Here you go! A lion is respected for its wildness; a rabbit is identified by its cuteness; and a fox signs the nature of cleverness. Every life on earth is known for one or the other unique properties which turn out to stand as identity. This identity further makes way for progressive developments to happen in our lives. Being yourself forms the skeletal framework of your life whereas learning more and improvising your attitude adds life to your life. Every move you make becomes your signature and every step you take acts as a cause for success to designate. You don’t have to really change yourself; you only have to change your wrongs; you got to replace your flaws by cures which help you hug your dream- life. Sir Richard Stafford Cripps incorporated success secrets and filled his life with growth and achievements. How did he do this? He did this by highlighting all the strengths and the lessons which were taught by his own real character. Rather than replicating an achiever by changing himself, he bought out winning colors which made his character. 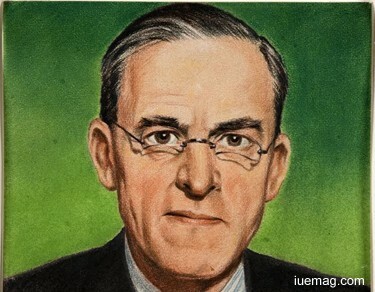 The British Labor politician and the barrister by background won the by-election in 1931 when Labor front-benchers supported him. The leading spokesman, who served as a Red Cross ambulance driver, specialized in patent cases and remained as the highest paid lawyer in England. Despite of all the efforts and attempts to deviate and divert the flow of water, ultimately every river gets into the mouth of a sea. The journey of the river is always fast and smooth without pauses because it precisely knows it is heading forward and hence, it catalyzes itself by its undistorted decision. Same is applied to the journey of an achiever too! The map which is followed by our journey must bear transparent plans and clear cut routes. The same helps us to undoubtedly reach our destination and also helps us to overcome the so called barriers of diversions, chaos and confusions. A boundary can be raised to control our wandering mind. Josy Barthel stabilized his mind by gluing his thoughts to the term, clear. He knew what would be the consequence of his every action and he planned such that he would end up achieving all that he wanted to. The Luxembourgish athlete was the winner of the Men's 1500 meters at the 1952 Summer Olympics. He was the only athlete representing Luxembourg to have won a gold medal at the Olympics. Though he had well founded careers chemistry and politics, his first fame was a result of winning the 800 m at the Military World Championships. He paved the path leading to success by reinforcing his abilities as a middle-distance runner which he discovered during the course of his journey. These stereotypes can be changed and corrected when the current boundary is crossed. Overlooking the ways to correct the wrongs help the society to enter the ‘right.’ Laying a track of originality, purity and truth is the symbol of tranquility to designate the world. The darkness of falsity may engulf the light of reality! Hence, it is high time for all of us to realize that it is our responsibility to break the stereotypes and make the world walk towards truth and sanctity. Self-realization is one such very effective measure to fade the boundary of falsity and lay the foundation to establish the castle of wisdom, knowledge and contentment. 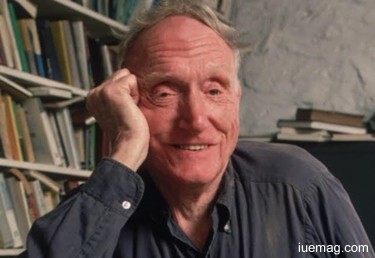 Robert Penn Warren set a trend of correcting the wrong assumptions, presumptions and beliefs. Looking deep into the belief system, he introspected and concluded that molding the thought process would serve as an effective cure to break the negatives perching our mind. The American poet, novelist, and literary critic was one of the founders of New Criticism. He was also the founder of the influential literary journal The Southern Review with Cleanth Brooks. Being the only one to have won Pulitzer Prizes for both fiction and poetry, he was recognized as the youngest member of the group of Southern poets called the Fugitives; he advocated rural traditions and raised their poetry as a foundation for critical perspective on classical aesthetic ideals. The scholastic mind of a doer respects and preserves the value of doing things and fulfilling responsibilities. Obeying the priceless lesson of proving oneself by accomplishing the tasks, an achiever welcomes growth into his/her life. This lesson is only remembered by the buds whereas implemented by the blossoms; and this is the key to unlock the castle of success. We all get achiever’s thoughts into our minds but not all of us push ourselves to put these thoughts into actions. A very little self-motivation is what is required to transform each one of ourselves into a winner, hugging success. Elizabeth Goudge made a difference by forecasting doer’s spirit. She promoted her position in life by elevating her aspirations to achieve. She drove her personality towards leadership and further bombarded herself as a true great leader. The English author of novels, short stories and children's books won the Carnegie Medal for British children's books. Respecting her inner mind, she took actions according to the directions of her heart. Despite of all her sincere efforts, she had to wait for decades together to gain renewed attention. Standing as one of the nature-seen artists, she was inclined towards writing right from her childhood. 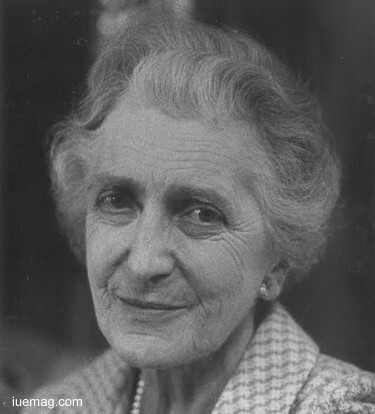 She received the MGM Literary Award and the Literary Guild Award and more for her successful novels and short stories. Does formal school education teach you important lessons of life? Does a ranker lead his life perfectly and achieve all that he/she wants to at one shot? The real qualification and eligibility to win life and achieve our dreams is to understand the nature of the reality and face all the challenges that life would offer us. Logical mindset, decisiveness, strength to accept the flaws and ability to overcome the worldly barriers form the necessary criteria to accomplish success. Capacity to grasp intuitions and emotionally conveyed clues are not thought by any university or degree. 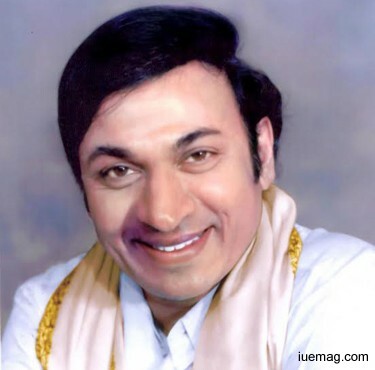 Singanalluru Puttaswamayya Muthuraju, popularly known by the stage name Dr. Rajkumar was the radical of hope who spread the vibrations of optimism. His positive attitude caused achievements roll down to his feet. The Indian actor and singer cultivated the essence of Kannada Cinema and nurtured it. This was the main reason for him to stay alive in the hearts of the society. He formed the breath of the world of Kannada cine industry. The cultural icon never studied formally after 8 years of age but learnt immense and unwavering lessons to succeed in life when he started his journey towards success. His professional life was his teacher which taught him more than what a university could. Joining a drama company at age 8, he finely learnt acting skills and never gave up on this career of his. His constant and consistent hard work then fetched him a fervid break as a lead in the film, Bedara Kannappa. Lack of complete formal education couldn’t stop him from earning an honorary doctorate from Mysore University, becoming the first actor to receive one! Our lives get their meaning and obtain satisfaction only when we do something to make them different from that of others’ in the society. Living a contented life is a dream and ambition of every budding achiever. Dreaming and aiming alone will surely not take you anywhere. You got to come out of your comfort zone, get up from you place and start acting. Remember that your actions found your success. Any facts, figures or references stated here are made by the author & don't reflect the endorsement of iU at all times unless otherwise drafted by official staff at iU. This article was first published here on 24th April 2017.